Now that I have a house with a yard, I’ve been forced into this gardening thing. Some days I like it. Other days, my fails remind me why I named this blog Condo Blues! I want to keep our gardening habits as green and eco-friendly as possible because Lacey likes to run into our flower beds even though she knows she shouldn’t. The last thing I want is for her to be covered with or ingest some chemical concoction of unknown origin we put on our plants or in our soil. Frankly, I’m not crazy about Husband and I doing that either. Husband and I need to rework the front yard a bit after a series of windstorms pelted our bushes and plants. I asked a bunch of blogger friends if they had any green gardening tips that I can learn from and share with you. 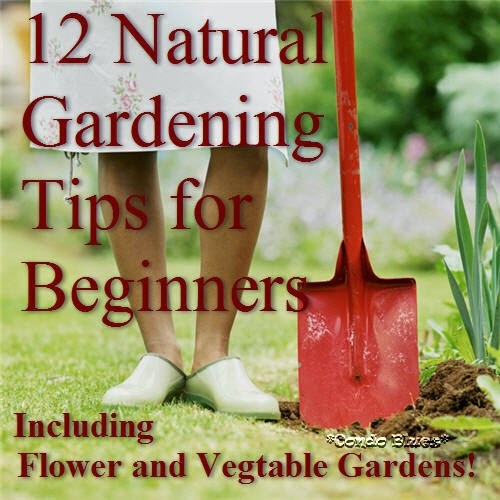 I got great tips for flower gardening, vegetable gardening, container gardening, and if all else fails, how to make a few garden decorations to cover up that your plants keep dying give your garden a personal touch.